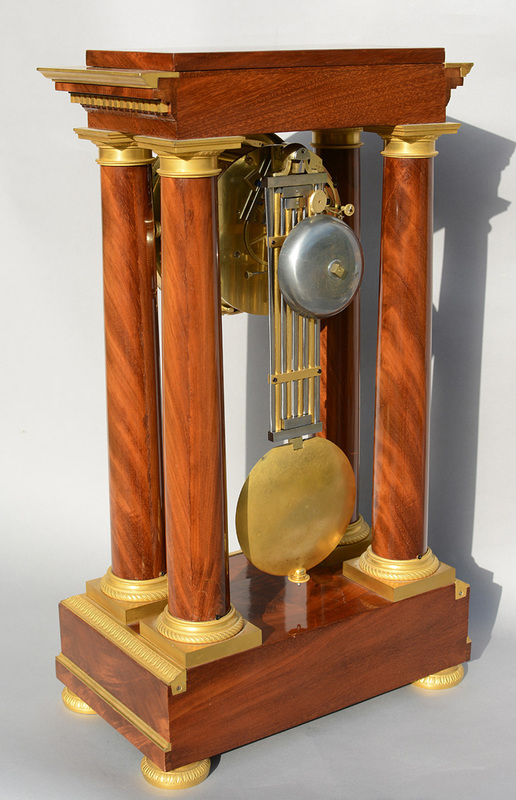 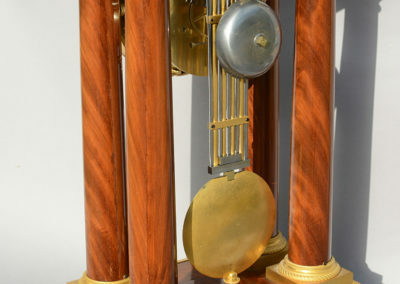 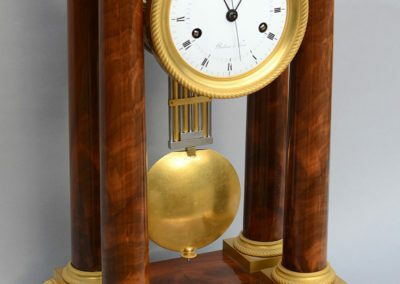 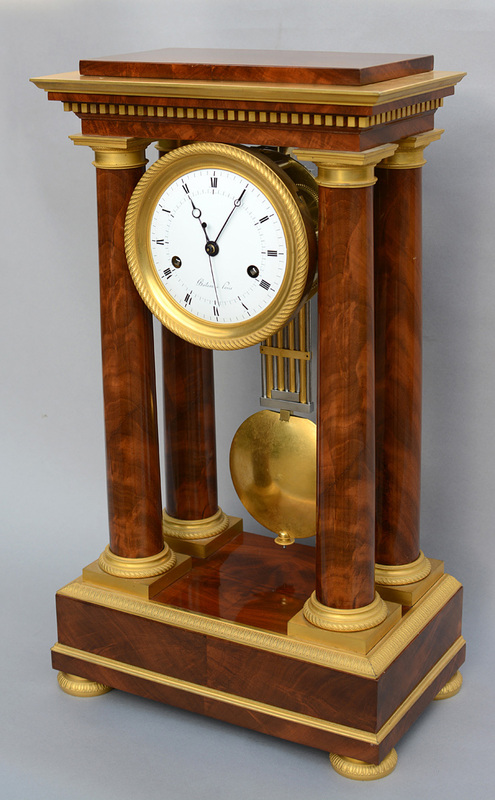 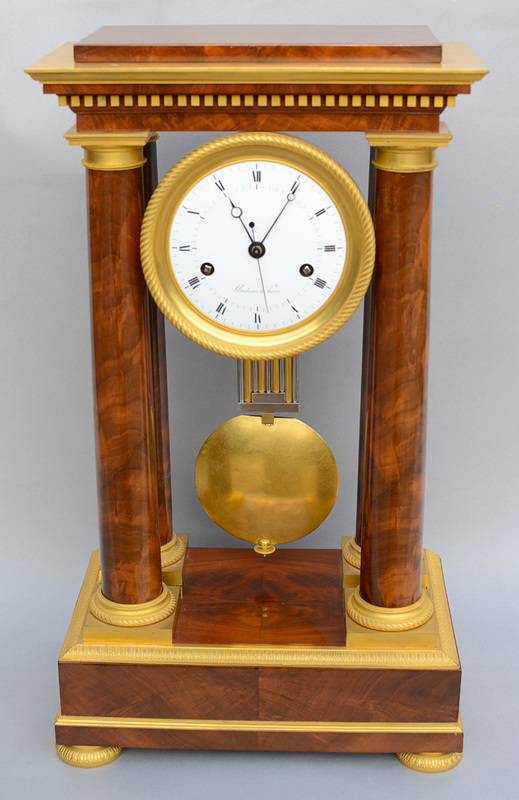 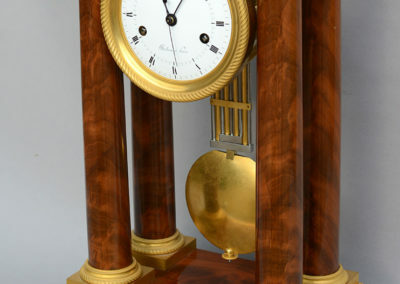 A stunning French Portico table regulator signed on the white enamel dial by Boileau a Paris with Roman numerals and half second indications and blued steel ‘Breguet’ style hands. 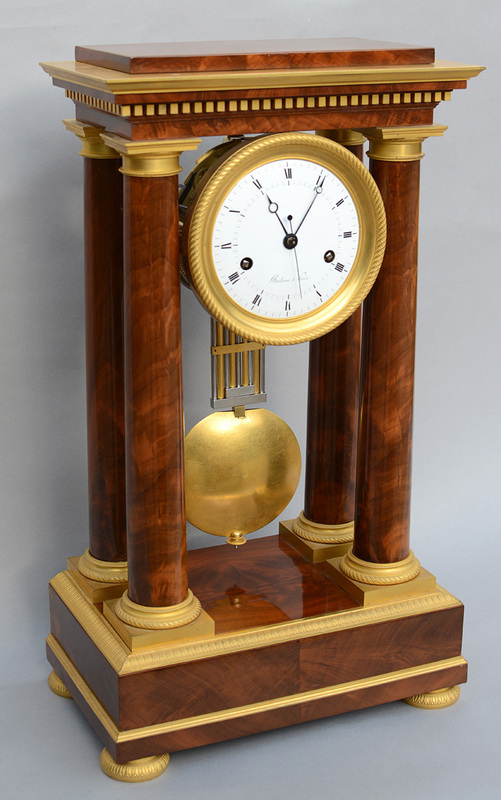 The original mahogany wood is in superb condition and the mercury gilding on the fine ormolu castings is also original and extremely high quality. 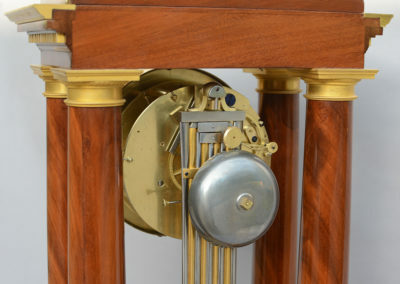 The very accurate two week going movement with pinwheel escapement and center seconds is complimented by a gridiron compensated pendulum of very high quality with tapered rods. 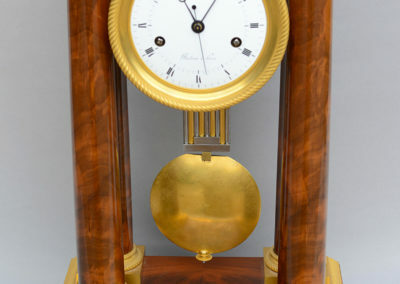 The striking train for hours and half hour is on a bell. 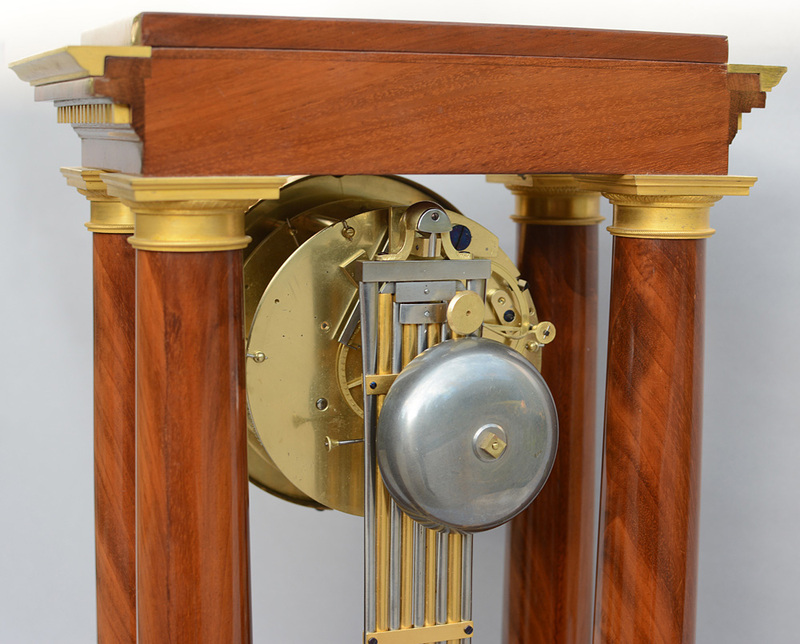 The mahogany top removes to access the key storage above the fire gilded stepped and dentilled case. 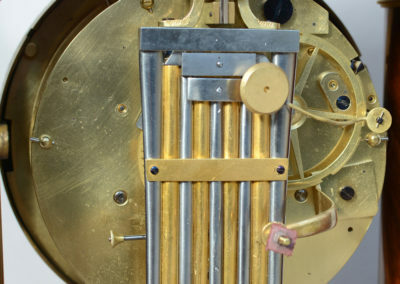 The back of the dial is signed and numbered by Dubuisson. 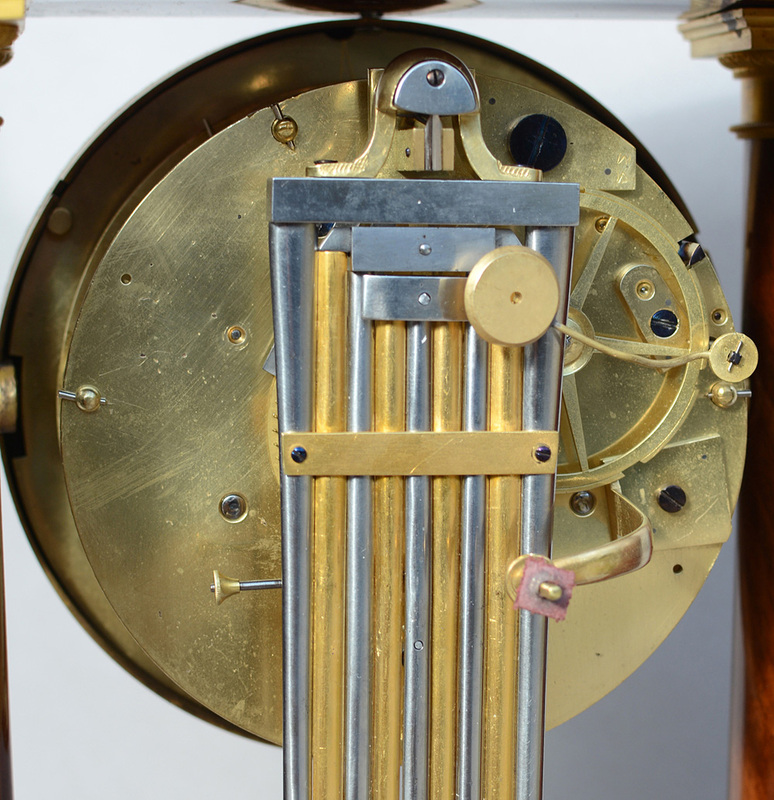 Both mainsprings are original and both signed by the springmaker “Peupin mars 1818”.